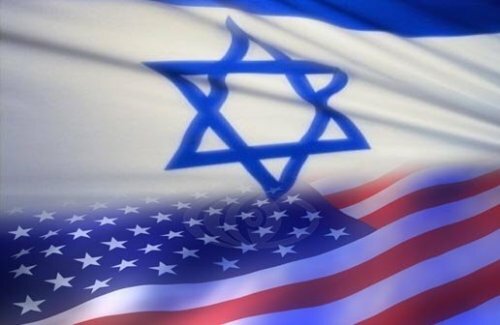 Thousands of US Troops To Be Deployed in Israel? How did this one slip in under the media radar (pun intended)? Israel is moving forward with plans to hold the largest-ever missile defense exercise in its history this spring amid Iranian efforts to obtain nuclear weapons. Last week, Lt.-Gen. Frank Gorenc, commander of the US’s Third Air Force based in Germany, visited Israel to finalize plans for the upcoming drill, expected to see the deployment of several thousand American soldiers in Israel. This is not the first example of US military presence on Israeli soil. Back in 2008, it was reported that 120 US military technicians and advisers were permanently in Israel to help operate a new early-warning radar system that was designed to ward of a potential Iranian missile attack. But the deployment of “several thousand American soldiers” in Israel is something else entirely. Could there be any more ominous sign of the “special relationship” between these two military-industrial juggernauts? BTW, shortly after this report was issued, the chief of the Mossad publicly stated a nuclear Iran would not pose an existential threat to Israel. And still the drumbeats grow ever louder. This entry was posted in Iran, Israel, War on January 3, 2012 by Rabbi Brant Rosen. Ditto, Cotton. This is really scary. Here’s the first independent news outlet in the US to publish the story two days ago. It lists two additional sources. “…amid Iranian efforts to obtain nuclear weapons. More ominously, although there still exists no actual evidence that Iran is making efforts to obtain nuclear weapons, like Saddam’s WMD’s and collaboration with Al Qa`eda, Iran’s “efforts to obtain nuclear weapons” have become received truth. Or, maybe we are starting off 2012 on the right foot by making Ahmadinejad and the Ayatollah’s think twice before doing anything stupid. To me this sounds like deterrence. There was a movie about a WWI hero made in 1941 called Sergeant York. He was a conscientious objector who killed 23 Germans and captured 132 in a single incident to save the lives of many, many more. The evolution of his point of view helped turn the tide of isolationism that guys like Lindbergh were espousing in a very anti Semetic nature. I recommend that all readers of this blog see that movie and research the real Sergeant Alvin York as well. Did y’all hear about Rasfanjani’s daughter being arrested for speaking out against the government? This country is filled with Persian men women and children who fled from the political and religious intolerance that has been governing over the people of Iran for over 30 years now. We know what it is like, more so than you ever will. People are killed, beaten, and imprisoned for simple acts of civil liberty. HOWEVER, war will not solve any of these problems. Over 100,000 civilians were killed in Iraq and now after all these years and a regime change… We still fear the rise of terrorism within its borders. Iranian men and women who live everywhere from US to Canada to Australi still have family in Iran. To the tune of 70 million people…. These are innocent people and no one outside Iran will support military actions that threaten these people. Do you remember the million man march in Europe designed to stop the Iraq war….. This war would provoke a 10 million man march. And while I know well that it will be ignored again…. You have to understand that you are defend the way US has planned and deployed extreme versions of regimes change( most often leading to another more violent regimes) with the tired mantra of “isolationism won’t work”. And war will? It never has and never will….no one wins wars most people just survive them and pray for the souls of those who were lost. Or, having American troops in Israel might make the government of Iran think that the risk of attacking Israel might be considered the same as an attack on the U.S. This might make Iran and their Hezbollah clients rethink any attack on Israel. This reduces the likelihood of war. It was Ronald Reagan’s policy of strength that caused the toppling of the Soviet regime. Maybe, this tough stand could be a factor in causing a collapse of that meshuganah regime in Iran without a shot being fired. You also make a blanket statement that it was Reagan’s “policy of strength” that toppled the Soviet regime. This is an arguable claim, to put it mildly. I think you might make a stronger argument in claiming that it was the Soviet Union’s overbloated defense expenditures and military adventures coupled with a lack of economic attention on the homefront that led to it’s demise. Hmmmm, does that sound familiar? Like the Soviets, we’re bogged down in Afghanistan, we’re continuing to pour precious blood and treasure into military expansion overseas while our economy is tanking ever downward. Never mind Iran – I think there is a much more compelling argument to be made that our current course will only contribute to the collapse of the US empire in the long (or not so long) run. Well, there you have it! I have not heard a better argument for bombing Iran. My posts don’t say bomb Iran. My posts say deter Iran by showing strength. You know let Iran have no doubt if that if they were to attack Israel the cost would be so terrible that they wouldn’t do it. Rafsanjani’s daughter is just an example of how well people are treated with differing opinions. She comes from a family with clout so she’ll never be hoisted by the hangin’ crane. Steve, I am relieved that your posts do not say bomb Iran. It is rather amusing that you are so very concerned about deterring Iran, which has not attacked another country in nearly three centuries, from attacking one of the two most militarily aggressive countries in the world, and a country that does in fact pose a serious threat to Iran rather than vice versa. And if you are really concered with how people with “differing opinions” (as you so delicately put it) are treated, I suggest you start examining that issue closer to home. Well put sir…. Very well put!!! I’m not writing to debate Alvin C. York. My intention was and is that he is an interesting person worthy of your own research. I suggest again seein the movie “Sergeant York” as well as sering the documentary about Alvin York and what was involved in getting him to agree to let the movie be made. I also suggest going to other sources. Alvin York was at first a supporter of isolationism in the 1930s. His position evolved and he feared also for the Jews in Europe. He changed his position and very vocally opposed the anti Semetic and isolationist positions of Henry Ford, Father Coughlin, Charles Lindbergh and others. His position on Jews evolved as well. He didn’t trust Jews until he got to know practicing Jews. He supported Japanese internment. He did later regretted that position and asked for forgiveness. He also wanted to be forgiven by G-d for killing German’s during WWI because that was a violation of the 10 commandments. He was a flawed hero just as every hero or sage was. But, as I sum up his personal history and his evolved views, I view him as a hero. I urge y’all who are readers of this here blog to do the research and watch that fine movie “Sergeant York”. Regarding the collapse of the Communist system in Eastern Europe-you proved Steve’s point when you mentioned that it was large military expenditures that contributed mightly to bringing down their economy…it was President Reagan’s large defense build up, particularly his Strategic Defense Initiative (which was a very intelligent, effective bluff) that finally convinced the Soviets that they simply didn’t have the economic resources to compete militarily with the US around the world. Regarding the internment of the Japanese during World War II, obviously it was wrong, but it is also important to remember the atmosphere in the US after Pearl Harbor. The fear of invasion of the West Coast at the time seemed to be realistic. Men of liberal persuasion such as President Roosevelt and California Attorney-General Earl Warren supported it. Although it is true the Italian-Americans and German-Americans were not rounded up en masse, they were put under intense scrutiny by the FBI and police and some were arrested. After all, it was the Japanese who carried out a surpise attack without a declaration of war on Pearl Harbor and this greatly inflamed public opinion in the direction of “collective” guilt, you know….sort of like those who blame all settlers for the so-called “Price Tag” attacks on Arabs which are carried out by a tiny minority of extremists against the will of the vast majority of settlers. Europe, USA, Israel and most of Sunni countries believe that Iran is developing nuclear weapons. Iran has engaged in waging war. The act of invading a foreign embassy and taking 400 people hostage is an act of war by international law. Arming Hezbollah with missles that are launched into Israel is also an act of attacking another country. Also, if you look at Iran’s rhetoric against Israel and the U.S what would be the logical conclusion? A country that has hung more than 600 people in 2011 and has already hung 35 people in 2012 and says that there ate no homosexuals in the country. A country that issues Fatwas agains authors. Why would anyone believe that Iran isn’t developing nuclear weapons? Why would anyone believe that those weapons wouldn’t be used by the maniacs who rule that country? I know people in the U.S. don’t treat people with differing opinions as bad. There is Freedom of Speech here. There is a risk to that freedom. People are free to tell you that you are full of it when they think your full of it. The government can’t. Just ask the Davoud Rahmanipour about what happened to his son Arash. My guess the Iranian government thought he was full of it. Steve, is that really the best you can do? To call that desperate reaching would be too kind. To call it risible would be more accurate. To address item by item would be too cruel. A sensible person would believe that Iran is not developing nuclear weapons because there isn’t any actual evidence that they are, and there is evidence that they are not. All their fissile material is accounted for – none has been diverted from their declared civilian programs. The evidence that Iran is developing nuclear weapons is as strong as was the evidence that Saddam Hussein had WMD’s, and was in cahoots with Osama bin Ladin. As a signatory to the NPT (unlike Israel) Iran has every legal and moral right to develop nuclear technology for domestic use. That is what they say they are doing, and that is what the evidence shows they are doing. Every country lacks freedom of speech to one degree or another, and Iran is not even the worst, so why begin with Iran – just because you think you don’t like them for some reason? Israel is going rapidly downhill in respect to freedom of speech and other civil rights and civil liberties, and in the United States civil rights and civil liberties have been taking a serious beating for the last 11 years or so. I suggest it would be a good idea to worry about freedom of speech in the U.S. (and Israel if that country is dear to you), and let the Iranian people take care of their own situation. They know how to do that far better than you do. Oh, and if you are concerned about the well-being of Jews in Iran, rest assured that they are free to practice their religion, their social institutions receive financial support from the government (as do Christian social institutions), and they have no desire to leave their country. I know Iran is suspected of developing nuclear weapons. But that has not been proven conclusively. While Iran has never attacked another country militarily, we all know that our country has – using unproven claims as pretense. Why were these Iranian students might motivated to take hostages at the US embassy in 1979? Most certainly because they had never forgotten that the US had plotted their eventual overthrow of Iran’s democratically elected government in 1953 from this very embassy – an act that was certainly contrary to international law. As it turned out, the regime we subsequently installed would persecute and unjustly imprison countless Iranian citizens over the next two decades. So yes, the current Iranian regime most certainly is guilty of human rights abuse as well. But to honestly evaluate these events today, we must honestly factor in the blowback from our own government’s irresponsibility. To attack Iran now would only mean continuing that cycle of blowback. It’s time to break that cycle and try another approach: engagement, diplomacy and honest evaluation of the larger implications of our actions in the world. We should also mention the two murderous bombings in Buenos Aires in Argentina which official Iranian government agents were involved in. Regarding your claim that Iran was somehow “justified” in taking over the US Embassy and holding the staff hostage for 444 days, would you find it similarly “justifiable” if Israelis/Jews took German citizens hostage because of the Holocaust, which, like the coup against Mossadegh, ocurred within living memory….or are you one of those who holds Muslims to lower standards of behavior than Jews? You know, if we’re going to argue citing government-sponsored “murderous bombings,” assassinations, kidnappings, etc, we could play that game of ping-ping ad nauseum. The US and Israel most certainly do not have their hands clean on that score – this kind of thing is utterly meaningless in terms of argument. And regarding the 1979 hostage crisis: I NEVER said it was “somehow justified.” You are putting words in my mouth by putting this word in quotation marks twice. If you did this deliberately, then you are being disingenuous. If you did it accidentally, then you are not really listening to what I am saying. I did not claim that the embassy takeover was “justified” or excusable. I wrote that we cannot look at specific events in a vacuum – we must take pains to understand their larger historical context – and in particular be accountable to our part in creating that context. Unless we do this, we are doomed to simply make the same mistakes over and over again – with the stakes rising each and every time. The U.S. government will do almost anything to start a war. As George W. Bush said, “War is good business”! I think most of us remember all the lies George and his media stooges told us about WMDs. Why would you think the cause of the next war would be any different?